A very small measure of change in the price of a currency pair is called pip. For example, if the price of Euro/Dollar (EURUSD) moves from 1.2500 to 1.2501 then we say the price of Euro/Dollar has been moved by one pip. The price change in the forex market is measured in pips. The difference between the “Buy” and “Sell” quote is known as Spread. For example, if the buying price of EURUSD is 1.2503 while the selling price is 1.2500 then the difference of 3 pips will be called Spread in the EURUSD pair. What is Margin & Leverage? If you trade currencies or metals with a retail forex broker then you are not required to pay full amount for trading specific number of units because brokers offer leverage. 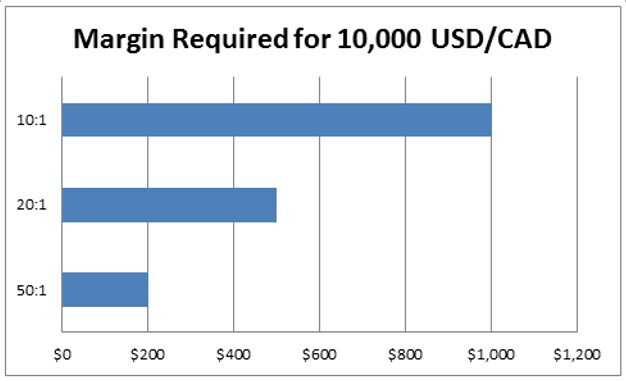 For example, in order to trade 10,000 units of USD/CAD you are required to pay just a small margin of $1000 if the broker offers 10:1 leverage, the margin for 10,000 USD/CAD will be $200 if the broker offers 50:1 leverage. Sometimes orders in forex trading are not executed at the exact price due to high volatility. For example, you have a buy limit order in EURUSD at 1.2500 but the order is executed at 1.2497 due to high volatility in the market, in this case we say the EURUSD position got slipped by 3 pips. The measure of maximum decline in any trading account is known as Drawdown. For example, a trading account dips from $5000 to $3000 and then increases to $10,000….we say the account had a drawdown of $2000. The drawdown can be measured in dollar value as well as percentage. The assessment of macro-economic indicators and routine economic releases in order to forecast the future value of a currency is called fundamental analysis. It includes monetary policy affairs, inflation, employment, sales, manufacturing, services and other routine economic releases that affect the price of a currency. The assessment of price action and various indicators to gauge the future value of a currency is known as technical analysis. The technical analysis includes the use of trendlines, Fibonacci levels, swing levels, candlestick pattern and price patterns such as head & shoulders, double top/bottom, wedges etc. A margin call is a level at which the broker alerts a trader to either close the current positions or make fresh deposit in order to keep the current positions open. This level is usually triggered when the amount of funds in the trading account dips below the amount necessary to open the positions that are currently open. For example, say you have a $1000 dollar account, and you have $900 locked in margin for your current open positions. If your account equity drops below $900 (your margin requirement), so if you lose more than $100, your broker will initiate a margin call. Stop out is a level at which the broker closes positions because the equity has touched redlines. These redlines represent a percentage of the required margin needed to maintain open positions. Using the example above, if a broker has a stop out level of 33%, once the account reaches below $300 in equity (33% of $900 is roughly $300), the broker will liquidate all your open positions. Ask or Offer is the price at which a broker is willing to sell an asset. Bid is the price at which a broker is willing to buy an asset. This was a brief account on some key terminologies used in forex trading.